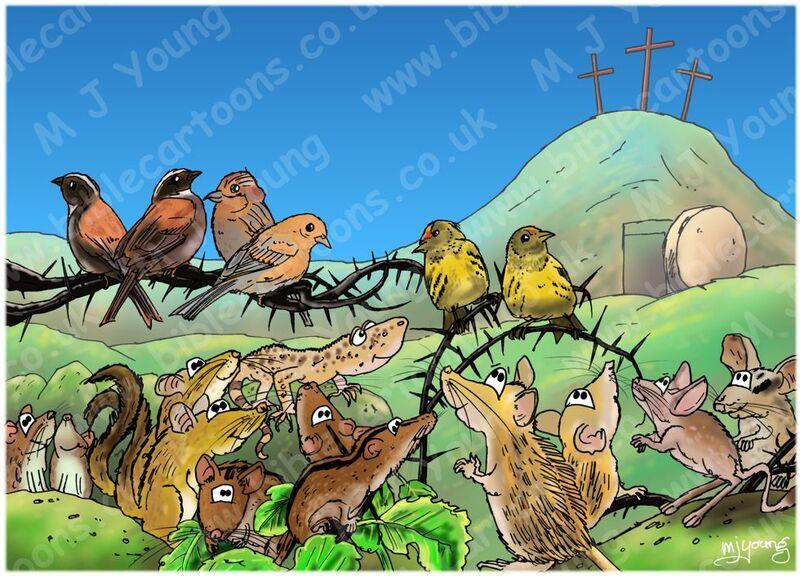 Bible Cartoons, illustrations, maps, merchandise and more, directly inspired from the Holy Bible - all drawn by Martin Young. Helping you communicate the Gospel messsage in fun, colourful, exciting ways. Bible Cartoons - are pictures that tell a story directly related to ONE particular part of the Bible. 1. Spice up sermons, Sunday school, youth activities and presentations. 2. Help you communicate difficult bits of the Bible. 4. Help you reach all age groups. 5. Help you overcome language barriers. 6. Help people who struggle to read the Bible to engage with it more easily. 7. Get your point across more powerfully. 8. 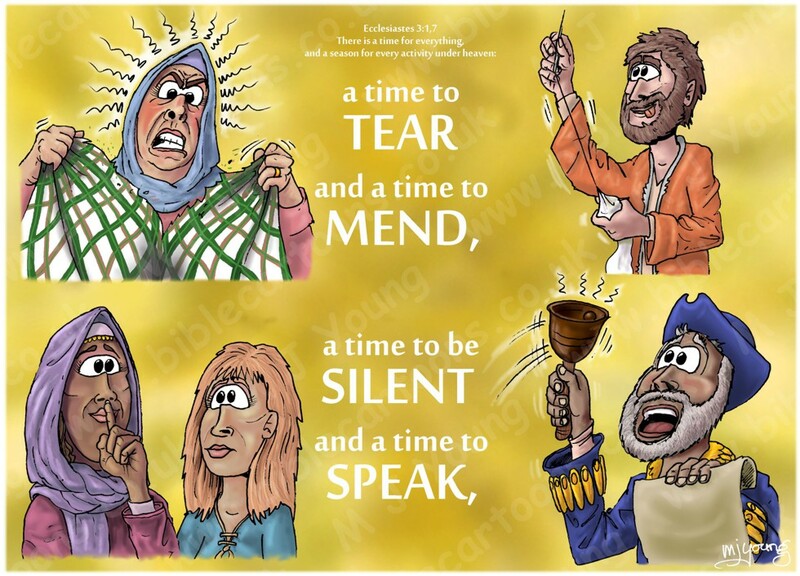 These Bible Cartoons are all drawn by the same person: providing a very consistent artistic style throughout. Gospel Illustrations - show overarching themes from several, or many books of the Bible. They often convey themes or concepts we find linking several books, or running throughout the entire Bible, such as salvation, sacrifice, Easter, Christmas, etc. 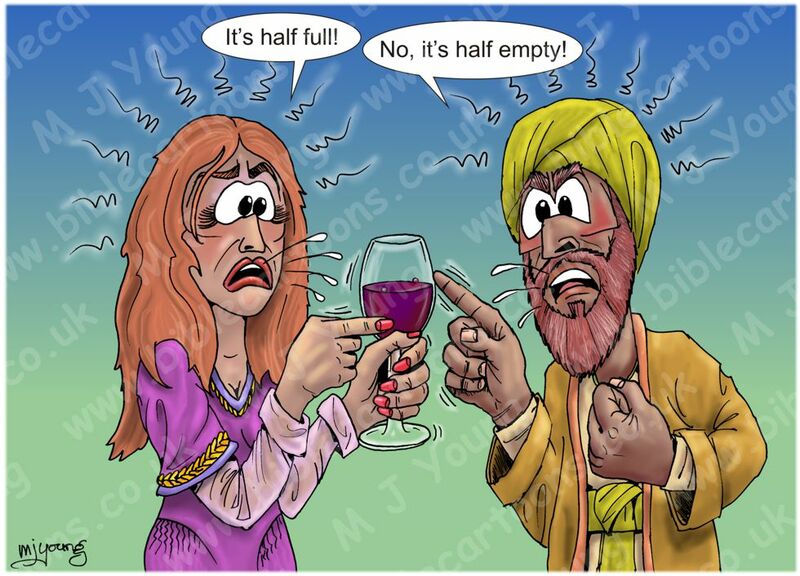 Title: Glass half full or half empty? Meta4 Pictures - are much broader in scope than Bible Cartoons or Gospel Illustrations. They are often inspired by sermons or things that I have heard or seen, and which remind me of an important idea. They may relate to the Bible, or Christianity, but can also be about life, business, development, art, space, church or just about anything else! Read my definitions in FAQ's. All artwork, pictures and contents Copyright © 2019 Martin Young.